Calling all local residents, community organizers, vendors, and anyone who is interested in learning more about Roulette’s Rental Program! 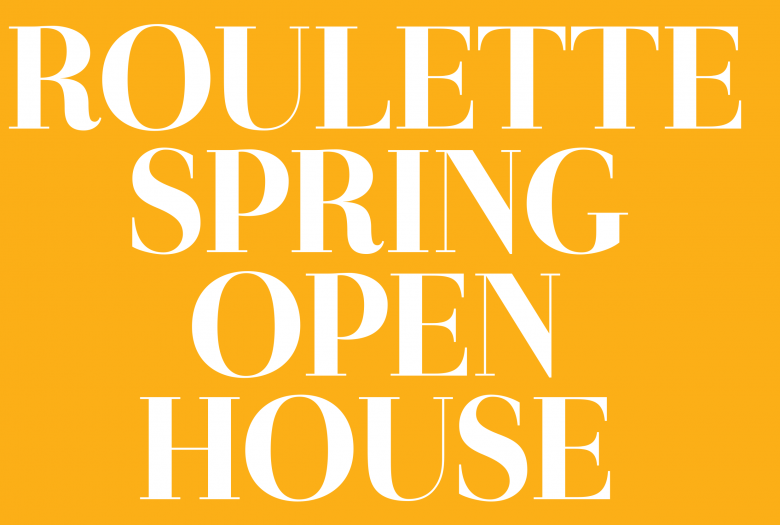 You are invited to Roulette’s Spring Neighborhood Open House on Monday, April 2, 2018. From 6pm – 8pm, we will be opening our doors to the public and inviting the community to visit Roulette. Have a drink, listen to music, learn about our programming, and see why Roulette has become one of the busiest venues in Brooklyn for weddings, not-for-profit and commercial organizations, private celebrations, conferences, galas and more! Join us for a night of wavy jams hosted by DJ Black Helmet, backstage tours of Roulette, and complimentary food and drinks provided by some of our favorite catering and events partners. Our space will be transformed with unique lighting design from Make Believe AudioVisual, fresh flower arrangements from our neighbors at Midtown Florist and interior decorations from Broadway Party Rentals. Bartleby & Sage, Naturally Delicious and Purslane will offer up delicious hors d’oeuvres followed by dessert served by Pies ‘n’ Thighs. Quyn Duong of One Night Cereus and JJ Pixx Photobooth will provide unique and fun photo opportunities, sending you home with some amazing mementos. Whether you’re passionate about Roulette’s music programming or interested in renting our venue for your next event, come meet our friendly and knowledgeable staff and see the space in action!